Volkow’s lecture, which is sponsored by the Department of Surgery and the Vanderbilt Brain Institute, will begin at 4 p.m. in 208 Light Hall. 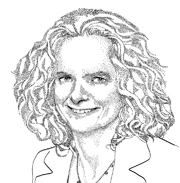 A member of the Institute of Medicine, Volkow pioneered the use of brain imaging to study the effects of drugs, including alcohol, cocaine and marijuana. She has documented how changes in the dopamine-driven circuitry of the frontal cortex can affect motivation and contribute to addictive behaviors. She also is known for her studies of the neurobiology of obesity, attention deficit hyperactivity disorder (ADHD) and aging. Volkow, great-granddaughter of exiled Russian revolutionary Leon Trotsky, is a native of Mexico and began her career at Brookhaven National Laboratory in Upton, N.Y., before being named NIDA director in 2003. She was profiled by Vanderbilt University Medical Center’s Lens magazine in 2006. For a complete schedule of the Discovery Lecture series and archived video of previous lectures, go to www.mc.vanderbilt.edu/discoveryseries.